Posted on 19.04.2016 at 15:02:46. Witcher 3, the newest game in the series and definitely the best one so far. While there were a lot of question marks on the map, indicating points of interest like monster nests or buried treasures, they were completely optional and not at all relevant to the story (though I just had to run to all of them, completionist that I am). The actual quests and sidequests were really well written, each having its own minor story including investigation into what’s happened, usually a lot of dialogue and concluding more often than not with a tougher monster fight. Kudos to CD Projekt RED for making even the smaller side quests feel important! And, as in previous games, the main story is excellently written, though it leaves you with even more freedom in this game. You start out with 3 different main quests and can choose which one to do first (though the level of the area the quest is in kinda acts like a guide there). Here I’d like to add that the character models (and graphics in general) are just fantastic. 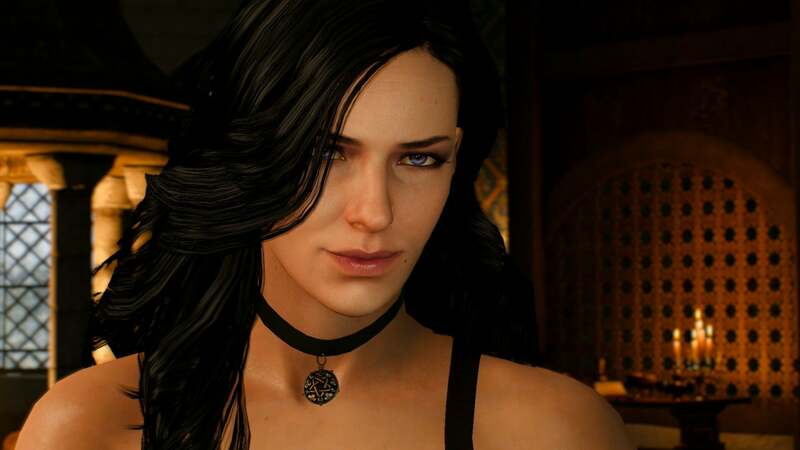 Just look at the models of Yennefer or Triss (or any other character for that matter). Even the running horses have been carefully modeled to run like real horses (I am told by a friend who has spend quite some time with horses). And the conversation scenes are even further improved using a rather interesting algorithm. Both potion management and crafting were hugely improved in this game. While they existed in previous game I always found them uninteresting and more of a nuisance before. But in this game they really had the chance to shine. Potions only need to be crafted once now, then can be replenished when you rest as long as you’re carrying some alcohol. As for crafting, the best armors of the game (Witcher sets from the different schools) are crafted, though it’ll take some running around to collect all the ingredients. My only complaint about crafting was that the basic Wolf armor set was made available rather late in the game (and you need to make the base armor set to then make the upgraded versions). Skills in the game… well, here I thought the game took a bit of a step backward. In the second game there were a few big skill trees that worked rather well. Here you could invest points in skills in categories and could invest in more potent skills once you had spend enough points in that category (no real issue there, though the tree architecture was nicer). The real issue is that you have to equip the skills to gain any benefit from them and you have a very limited set of skill slots (12 max). I bypassed this by installing a mod which let me equip an unlimited amount of skills (might’ve made my character a bit overpowered, but didn’t bother me). Travelling in the game… well, I think this was one of the best solutions I’ve seen so far. Towns and villages had sign posts you could fast travel to, then you could ride on your trusty horse, Roach, to the questing area. Or you could just ride Roach all the way, the riding was really well done and was honestly quite enjoyable. The same can be said for the small boats you can sail up and down the rivers or around the Skellige Isles. Another important aspect of the travelling is that there are barely any loading screens (except when loading saves, fast travelling or travelling between non-connected areas). Every building can be entered without a loading screen. Unfortunately, when there are loading screens (like when you reload a save again and again to get something just right) they’re really annoying, because they’re set up as Dandelion retelling the story so far, and when you’ve loaded a save for the 5th times in 10 minutes (not something that happens often, but it can happen), hearing that crap gets really old really fast. I’m gonna do this section fairly briefly, the story is very long and complicated and I couldn’t do it justice by going too in depth. The game starts out with Geralt and Vesemir searching for Yennefer in the aftermath of a huge battle. That night, Geralt has a dream of Ciri and Yennefer at Kaer Morhen and the Wild Hunt coming after Ciri. The next day Geralt and Vesemir head for White Orchard to continue their search for Yennefer. In White Orchard Geralt helps the local garrison in exchange for further information about Yennefer, only to have Yennefer find him first. He’s being summoned to the Nilfgaardian court in Vizima (which Nilfgaard now occupies). The emperor has heard reports of Ciri resurfacing (Ciri is the emperors daughter) and wants to hire Geralt to find her and Geralt agrees for his own reasons. Ciri has been spotted in three locations; Velen, Novigraad and Skellige. In Velen Geralt helps the local lord find his family in exchange for information about Ciri. In Novigraad Geralt has to save Dandelion who’s gotten into trouble (as per usual) for further information about Ciri and in Skellige Geralt and Yennefer explore the sites where Ciri has been seen. All the clues point to Ciri being constantly hunted by the Wild Hunt and lead to Uma, the uglies man alive, some poor soul that has been hit with a pretty serious curse. Geralt takes Uma to Kaer Morhen, where the curse is liften and it is revealed that Uma is an elven mage who was helping Ciri. He helps Geralt find Ciri and they prepare to make a stand against the Wild Hunt in Kaer Morhen. The battle is about to be lost when Ciri unleashes her untrained powers, which are almost as dangerous to her friends as to her foes. Afterward the heroes start planning on how to hit back at the Wild Hunt and come up with a plan to summon them and kill the King of the Wild Hunt. After a huge battle it’s time for Ciri to decide her own fate based on decisions previously made by the player. Hearts of Stone starts off with Geralt being hired by Olgierd von Everett to take out a monster in the sewers of Oxenfurt. Geralt stumbles into Shani in the sewers and together they find the monster, a giant frog. Geralt manages to defeat the monster, but is subsequently captured by the Ofieri for having slain their cursed prince (the frog). Geralt is captured and imprisoned on a ship and that’s when Gaunter O’Dimm comes into the picture. He promises to save Geralt in exchange for a favour. Having little choice Geralt agrees and shortly afterwards a storm shipwrecks the ship and frees Geralt. In return O’Dimm wants Geralt to grant Olgierd three wishes that O’Dimm owes him. Olgierd has three wishes; Maximilian Borsodi’s house, his brother to have the time of his life, and the last rose he gave his wife before his departure. Geralt starts off with showing Olgierd’s brother, Vlodimir, the time of his life. 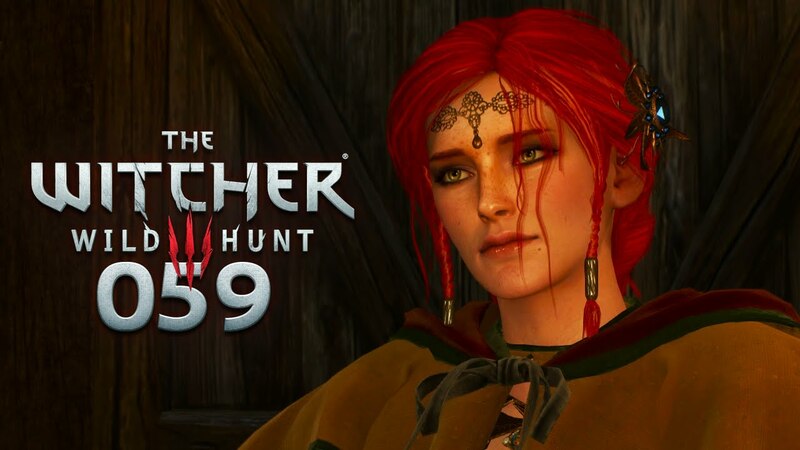 This is complicated a bit by Vlodimir being dead, but Geralt summons his spirit and decides to let Vlodimir possess him for the duration of a wedding he and Shani have been invited to. The scenes that take place at the wedding are some of the most hilarious in the game and Geralt definitely shows Vlodimir the time of his life. Stealing Maximilian Borsodi’s house involves a heist into a very secure vault, which in turn involves recruiting a crew of thieves. Finally, getting the rose is perhaps the most haunting and at the same time beautiful part of the game. Geralt has to head for the house where Oglierd and his wife, Iris, used to live. Here, Geralt gets to confront demons summoned up by Olgierd in the past to protect his wife and finally finds the remains of Iris, long dead. Geralt decides to bury her, only to be summoned by her ghost into a beautifully painted world where he gets to live through Olgierd’s and Iris’ relationship, seeing how Olgierd’s heart started to turn to stone as a result of a wish he made to O’Dimm and how he tries to cancel the contract. When Iris tries to end the marriage Olgierd lashes out and eventually abandons her, to die alone. Geralt is left to either have Iris let go and disappear into oblivion or let her decide what to do. In the end Geralt returns to Olgierd with a painted rose and has thus fulfilled the third wish. O’Dimm summons Geralt and Olgierd to a mountain where he prepares to claim Olgierd’s soul as the price for his wishes. Geralt steps in and challenges O’Dimm to a contest, to which O’Dimm agrees; if Geralt can find him quickly enough in his own hellish world O’Dimm will be banished. O’Dimm is banished and Olgierd heads off for a fresh start. This telling really doesn’t that story justice, but trust me, it’s hilarious and hauntingly beautiful all at the same time. So, the game was excellent (as is only to be expected of a game of this series) in every way and the story was great (especially the Hearts of Stone DLC story). Can’t wait for the next CD Projekt Red game, Cyberpunk 2077. I just got this and a season pass gifted to me and also looking forward to playing it. I’ll probably wait a while though after just having completed all three Risen games back to back. My only worry is that I tend to write way too long blog posts especially for these kinds of games. Maybe I should do what I did for Fallout 4 again and split it up in several smaller parts? Btw, what did you think of the card game Gwent? I’ve heard it’s so good that some gamers only start Witcher III to play that. Do you know how many hours it took you to get through the main game? I’d probably go with several parts if you wanted to go more in depth, yes. I can’t honestly say how long the game took me to play through; my GoG Galaxy client says 500 hours, but that’s because I keep leaving games running in the background all the time, a more realistic guesstimate would be 40-50 hours.